Pinch is back again! 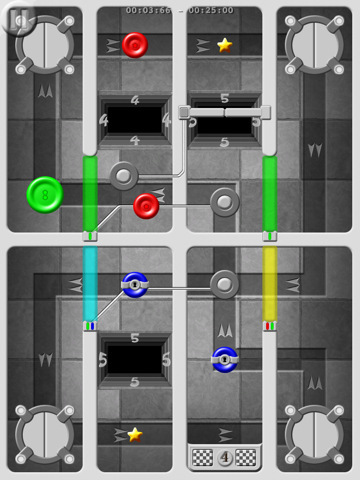 The fun and intelligent puzzle game has a new sequel with all new challenging puzzles that will make your brain work! 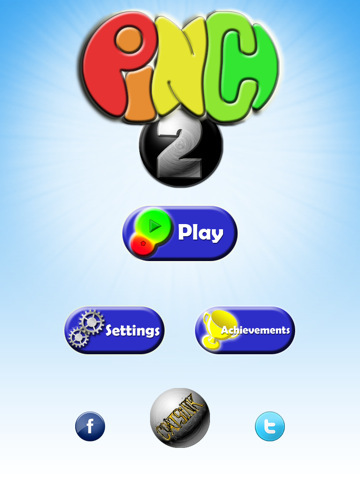 For those who are unaware of the game, Pinch 2 HD is based on the exact same concept of Pinch: You are to combine, split, mix and match the different coloured norbs (the circular balls) to access different places within a particular level. The ultimate aim is to get the required amount of norbs into the finishing line. 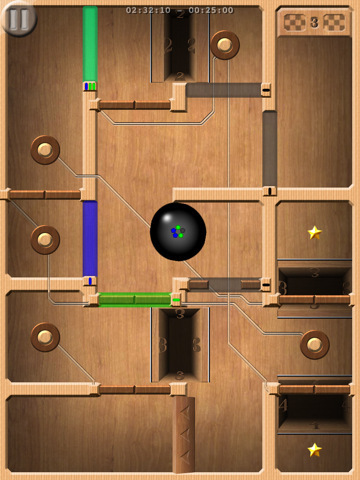 That comes with some thinking as each level consists of several puzzle elements such as switches, pit holes and so on! Read on for the in-depth review. There are also 4 different medals or objectives to complete for each level. You don’t have to complete all at once as it is almost impossible. These objectives are firstly a time objective; complete the level within a particular time. Secondly, the objective to get all norbs to the finishing line. Thirdly, number of pinches that you are allowed to use. Lastly, number of stars collected. It certainly gives some replayability for each level as you try to achieve as many objectives as possible. I love how the pinching and multi-touch mechanisms within the game are all smooth and responsive. It really brings out the capabilities of the iPad touch screen. It is well implemented and definitely something that helps in improving the gameplay. The big iPad screen certainly helps in making the game more accessible than the first version. In my opinion it just feels nicer and easier to zoom in and out, drag the norbs and pinch them etc. Graphics are improved from the first version. The norbs and the overall design and background of each level just looks much clearer and sharper. Like the title of the game, the graphics are of higher resolution that of HD like. It looks particularly well when stretched on the iPad. However with all that said, the graphics still don’t stand out that much. As much as it is an improvement from the first version, it is nothing too much to get overly excited for. There is also some light hearted music and sound effects that keeps players from getting too overly stressed out should they fail to complete a particular level. Overall Pinch 2 HD is a delightful sequel to a clever concept and fun puzzler. There is the ability for you to grab the first 20 levels for free but to unlock the full game, it requires you to fork out a sum of $4.99. It is rather expensive as compared to the first game and other games within the same genre. Furthermore, the replayability of the game is merely that of getting the fastest time possible once every level and objective is completed. Nevertheless, if you find that the 20 levels are fun enough, the $4.99 should be alright as it offers you 100 levels and more to come in updates.